I have had a busy few months making work, editing and trying to get my latest series of photographs into shape. As part of this process I once again found myself in London, but this time I set out to capture the city from a different perspective. I had never seen London from above and with the exception of visiting the Shard or taking a helicopter ride I didn’t have much of a clue where to go to capture an elevated panorama of the city (I would gladly welcome any suggestions). So I spent the day walking from place to place trying to gain access to areas high above the city, and I have to say it wasn’t as easy as I had hoped. However, with a bit of determination, a lot of waiting and a few half truths I eventually managed to get some photographs from London’s upper levels. 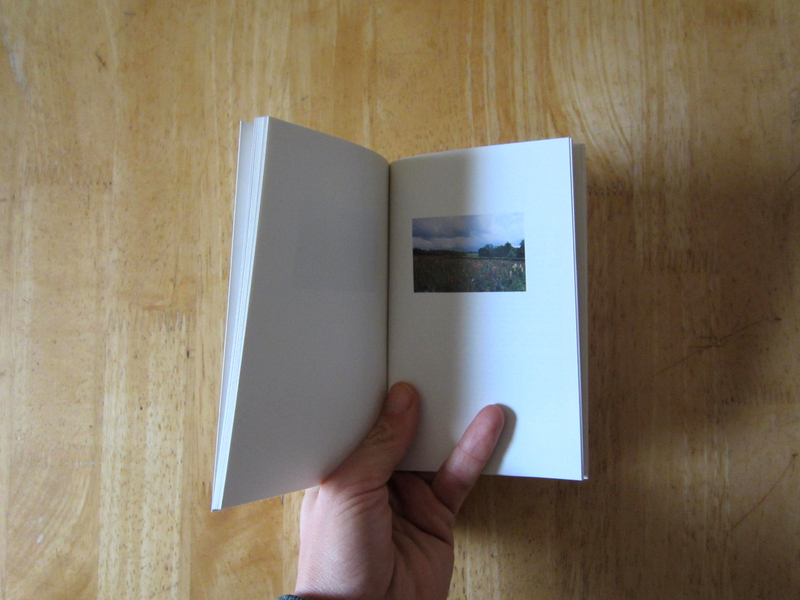 Long Walks is the third in the Country Life series of books commissioned by Photoworks. David Johnston has for many years made walks throughout the West Sussex countryside, and in particular the rural area around Petworth. His work is a personal account of these walks. 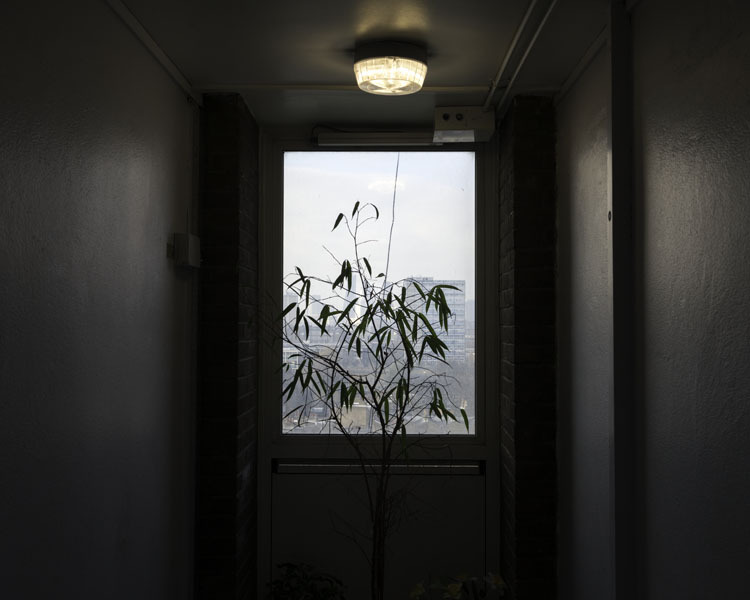 Interestingly, he is a self-taught photographer who makes work around his day job as a painter, decorator and maintenance man in a home for people with mental disabilities. 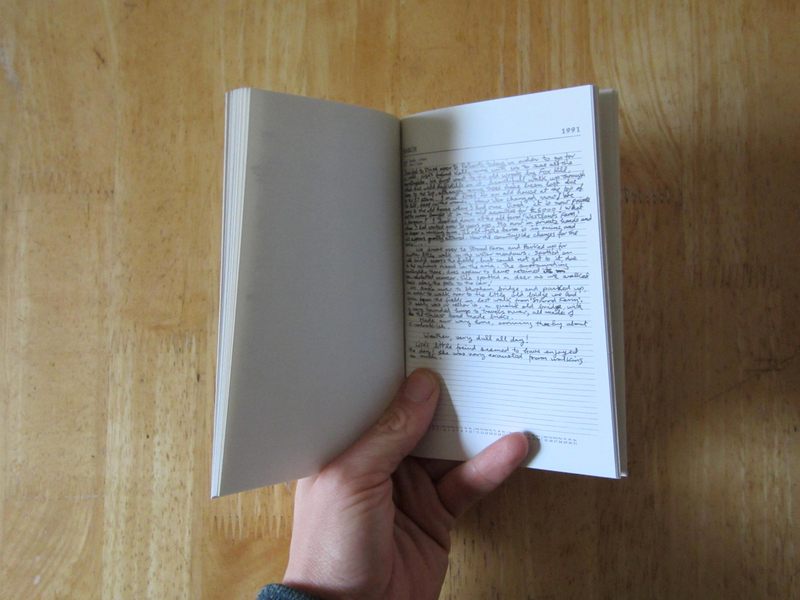 Long Walks is a beautiful little publication that sits in the palm of your hand, not unlike a diary. 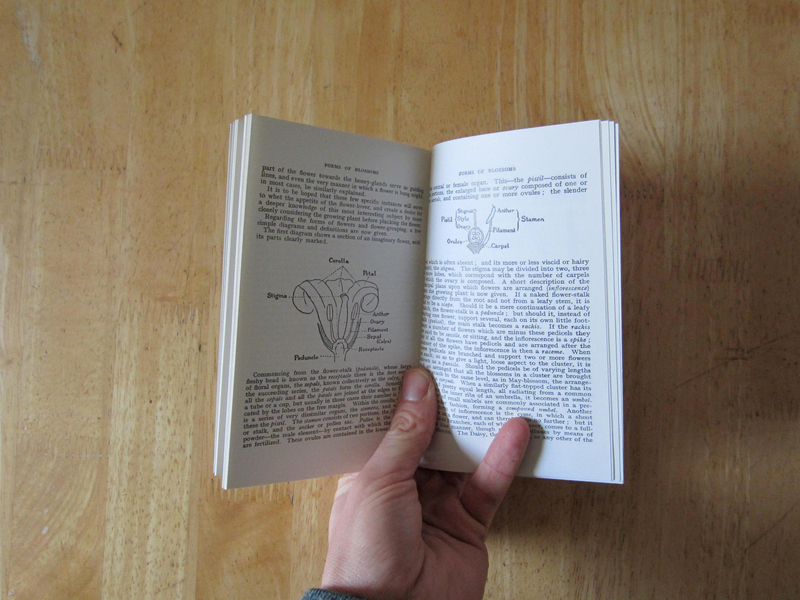 It has 48 pages and 11 photographs that are accompanied by extracts from Johnston’s own diary as well as a botanical glossary. Johnston’s colour photographs seem to capture the English countryside as we often try to imagine it. They have no traces of the modern world and are in essence quite timeless. Each photograph is similar in appearance with only minor differences between them. They depict the most simplest of moments when walking in the countryside, a field, a tree or a hill. However, we get the feeling that this work is not just about the photographs in themselves but more about the entire process of escaping into the countryside with your camera and using photography to examine your surroundings. 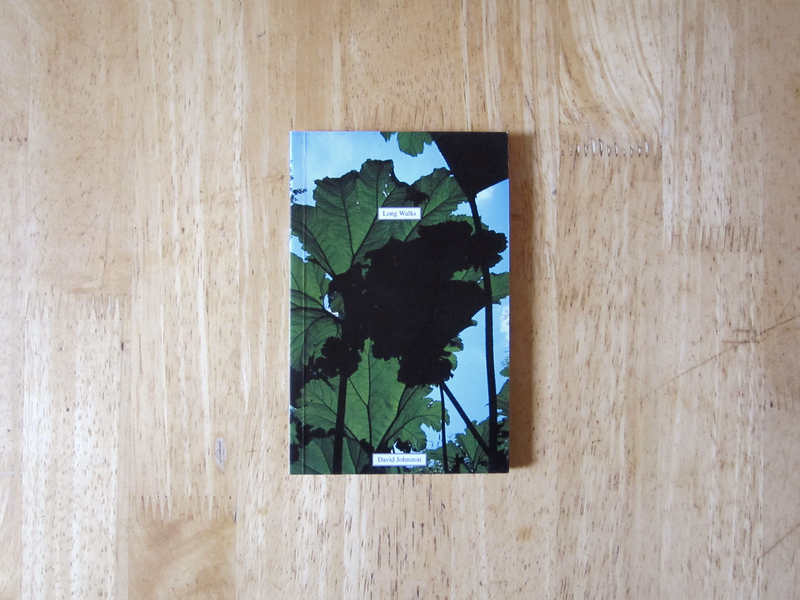 Johnston’s texts re-create a sense of walking through picturesque England. He describes the weather and how it affects his walking experience, a typically English habit. He also writes of his fleeting encounters with wildlife, deer, birds and rabbits. Curiously, he writes about capturing wildlife with his camera, but we never see any of these encounters in his photographs. Perhaps these encounters are only meant to be experienced by those whom venture out on foot for themselves. As well as writing about his surroundings, he also recounts stopping for fish and chips and buying a can of coke. For me, these seemingly minor occurrences manage to conjure up my own childhood memories of escaping the city on walks with my family. Johnston describes his sense of well-being when walking in the countryside. These thoughts are interspersed with those of his other more domesticated life, where he sits around at home or is at work. The enjoyment that he clearly gets from exploring the landscape on foot really comes across throughout the book and it is a joy to look at, read and return to. Perhaps at its core, Long Walks is a book meant to inspire us to venture out on foot for ourselves, but for those that choose not too, it makes for a nice little alternative. Recently, I came across the work of Tisha Mukarji, and in particular the wonderful series Piano Piece (For George Brecht). 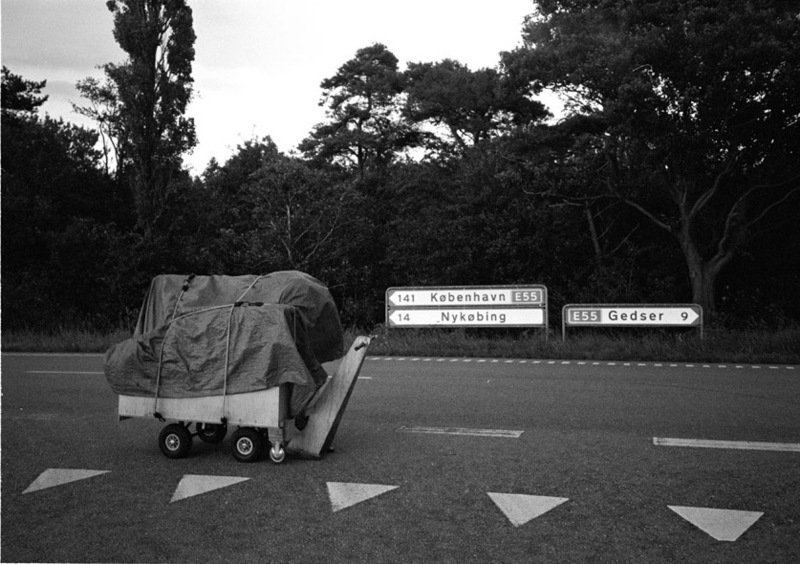 Made in 2007, it is essentially a performance piece documented with 30 black and white photographs. 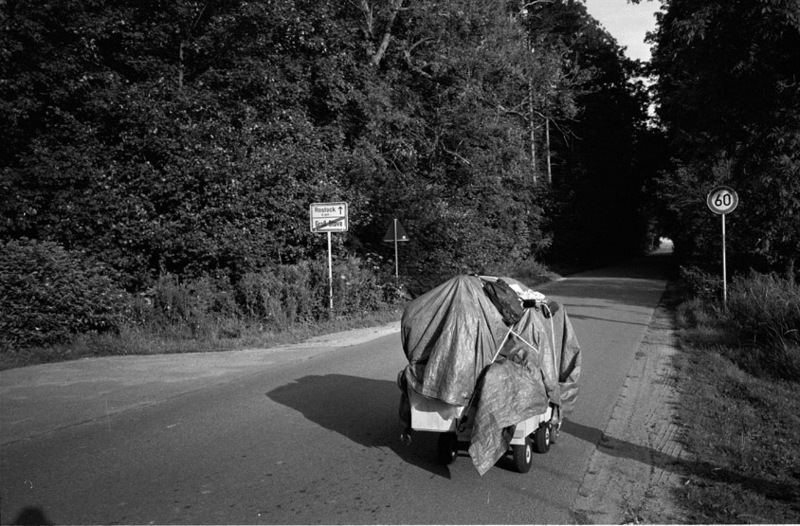 The photographs show us how the artist takes a piano on a walk for 30 days, or as she writes “the piano is taking me out for a slow walk…“. She set out with the goal of moving the piano 10 km on foot and to play it for 10 minutes each day. She notes how the piano is traditionally a domestic instrument designed to stay in one place and how often it is a piece of furniture rather than a creative instrument. 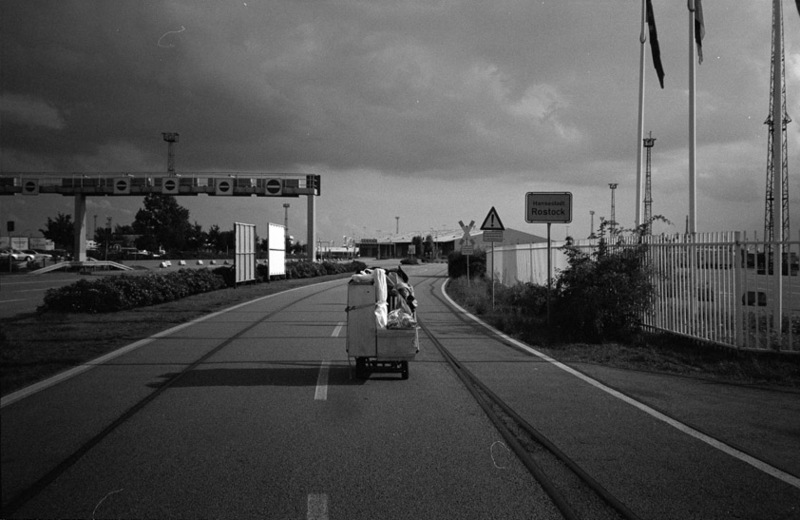 Mukarji liberates her piano by taking it on a walk outside of its everyday domain, in turn taking her on an adventure. By taking the piano outside of its usual social boundaries, it finds itself in a new and unpredictable environment. Mukarji shows us that walking can be a liberating experience. Playing the piano outside must have sounded much different from when it is played inside. A metaphor perhaps for the transformative qualities of walking and the way it shapes the perception of ourselves and the surrounding world.